Even the pros can make mistakes like beginners. 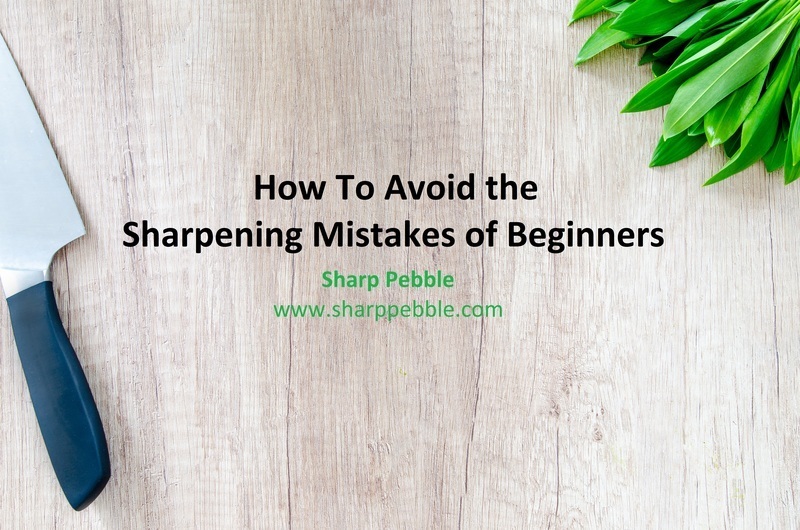 Fortunately, whether you’re a seasoned sharpener or a brand-new blade fixer, we’ve got the knowledge you’ll need to avoid those mistakes! Beginners often do things incorrectly because they are misinformed. So, the first step is to understand the specifics of using a sharpening stone. Stone sharpening grit comes in many different particle grades, much like sandpaper. The different grits refer to the size of the particles. The smaller the particle size, the more of it can fit on a stone and the beginner the number that is used to describe it. Likewise, the larger the grit, the fewer pieces fit on a stone’s surface so the smaller the number. Therefore 8,000 grit is fine and 400 grit is rough. A fine grit stone requires multiple passes of the blade across it to gain the same results just a few rough grit passes would make. The advantage is that fine grit stone hones an already sharp blade to be prime for cutting. On the other hand, a disadvantage is that fine grit doesn’t take much of off the blade. If the knife is dull, many passes across the stone will need to be made. Maintaining the same angel for multiple passes is extremely difficult. Rougher grit stones will require less passes for dull blades because they take off more material at once. However, they are more aggressive and if they are used to often, there will be less and less metal over time.Neither fine nor rough grit is better, they are just different. Knowing which grit to use is the most important piece. Rough grit stones such as 400 to 1,000 grit are ideal for sharpening very dull knifes. If you have a knife that has been worn down because you love it and use it so often, then our rough 1,000 grit stone is the fix you need. Our rough stones are made from silicon dioxide because it is more dense and leads to fast cutting performance. Aluminum oxide, a less dense metal is used for our fine grit stones. For razor-sharp edges and a mirror, polish finish use our 8,000 grit. For fine tuning and sharpening of a slightly dull blade use our 6,000 grit sharpening stone. The advantage of this metal is that it allows more time for precision and fine tuning of already sharp or barely dull blades. Use this information to use the right sharpening stone for the job and make sure all your sharpening is smooth and consistent. To do this, an sharpening guide is very useful. That way dull knives with multiple passes and fine tuning with fine grit all go well. 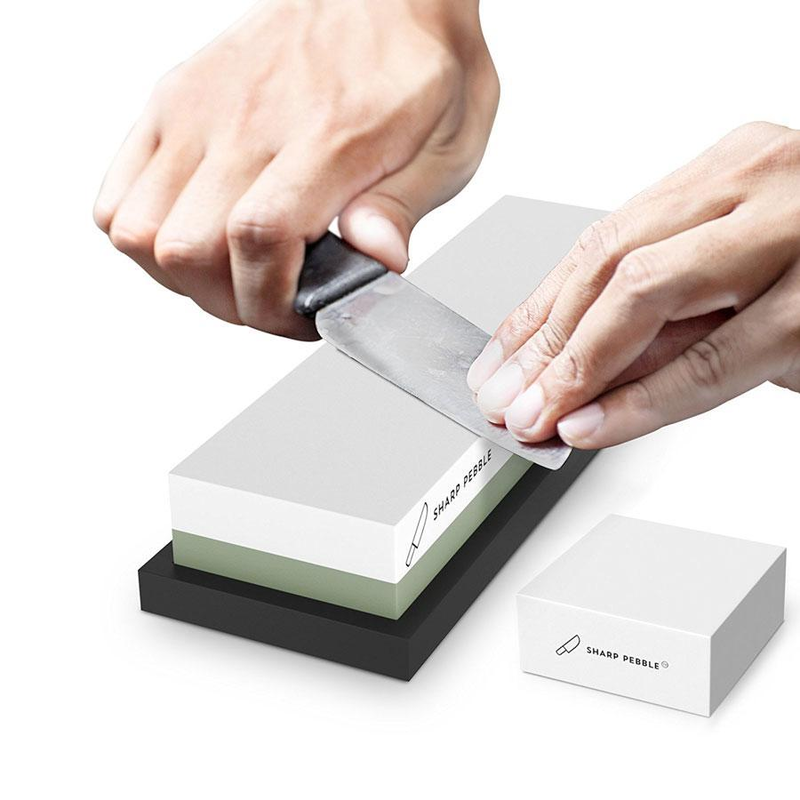 Additionally, all of our sharpening stones come with two different grits so that you always have what you need to sharpen your knife like a pro!